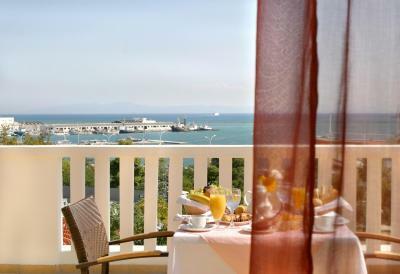 Lock in a great price for Volos Palace – rated 8.6 by recent guests! Breakfast was really nice, there was underground parking, and check in was easy. OK hotel for our one night stay before taking the ferry the next morning; good walking distance from the harbour (approx. 10-15 min); hotel room had everything we needed but was indeed a bit outdated (as we read from other travellers); breakfast was outstanding though, very large choice. Volos itself is nothing special; disappointing main boulevard with touristy restaurants. 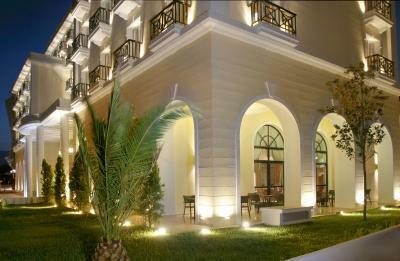 Very nice hotel, location amazing, people friendly and Volos was great! Excellent and helpful staff. Discreet and efficient. Very clean room. 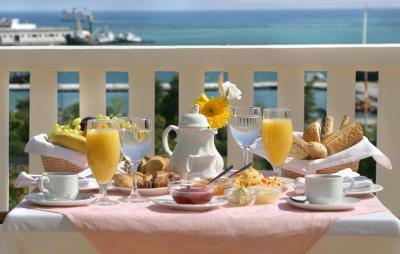 Great breakfast for an average hotel. An excellent choice of fresh items for breakfast. I stayed in winter and the heating was adequate and welcome. It is about 20 minutes' walk from the centre of town, so I found the location reasonably convenient. 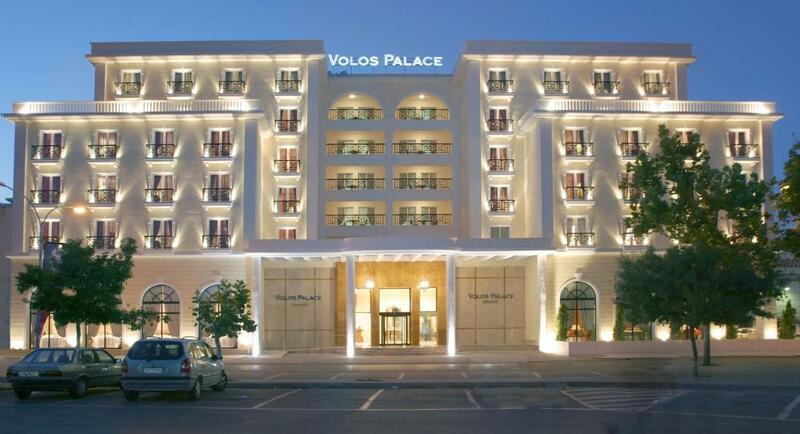 Volos Palace This rating is a reflection of how the property compares to the industry standard when it comes to price, facilities and services available. It's based on a self-evaluation by the property. Use this rating to help choose your stay! One of our top picks in Volos.Volos Palace, conveniently located in the city center, looking towards the Pagasetic Gulf, offers 4 star accommodations services all year round. Each well appointed guestroom features internet connection, mini-bar, TV, air condition and bathroom with amenities. 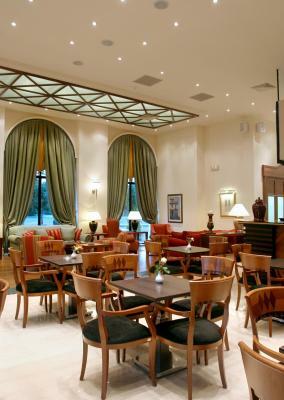 Along with bar and restaurant facilities, guests at Volos Palace are provided with a 24-hour front desk, wireless internet free of charge in public areas. Τhe traditional village of Portaria lies within 8.1 mi and Pelion Mountain can be reached in 17 mi. Free private parking is possible in the premises. When would you like to stay at Volos Palace? 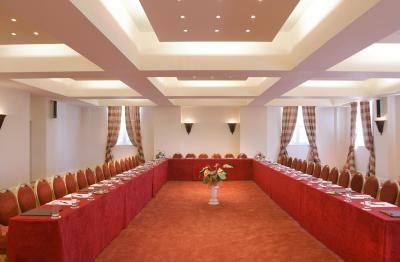 Spacious room with bedroom and living areas, located on the first 3 floors of Volos Palace Hotel. Ideal for families with a child. Standard double room with air conditioning, satellite TV, mini-bar and free internet access. Spacious two-room junior suites with a bedroom and a living room with a writing desk. They have view to the Volos city harbor. 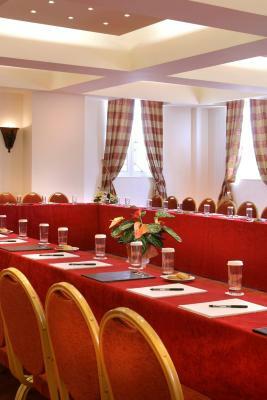 Additional room facilities include: 2 TV, bathroom scale, DVD player, coffee tray and more. Spacious room with panoramic views over the sea and city of Volos. 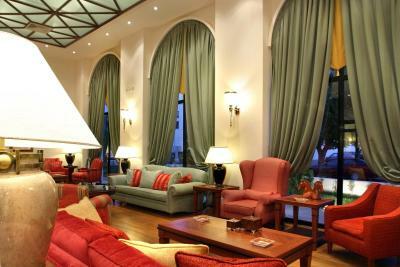 It is luxuriously furnished and has a seating area with arm chairs and a marble bathroom. Volos Palace Hotel was built in 2004 and looks towards the Pagasetic Gulf, with an inspired neoclassic architecture and all the contemporary comforts, thus constituting the ideal choice for every visitor. Draped in the hues of blue and dominated by wood, the hotel has been equipped with all technological support, making sure all your needs are met in the best possible way. 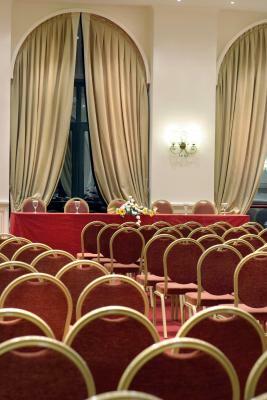 Volos Palace Hotel is set in the city center of Volos, right opposite the Municipal Theater, very close to the Town Hall, the Custom, the Prefecture and the Hospital. It is located 10’ away from the local as well as the national bus station and just 5’ away from the train station, next to the port from where ships leave to Skiathos, Skopelos and Alonissos, as well as the jetty where you can hire a yacht. 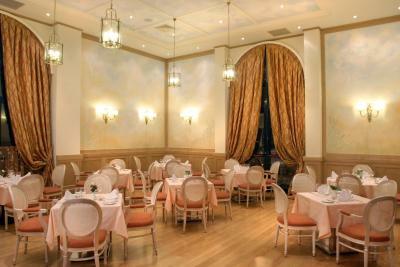 House Rules Volos Palace takes special requests – add in the next step! Volos Palace accepts these cards and reserves the right to temporarily hold an amount prior to arrival. 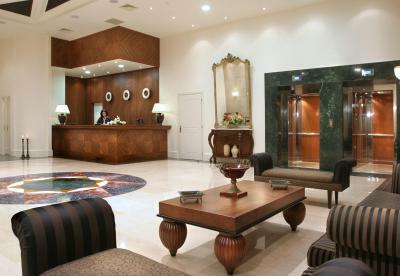 Classic, convenient hotel at the right location, functional and problem free. Great location for catching the ferry to The Sporades islands. Within an easy walk to the ferry port. Quiet culture makes you feel at ease. The staff are both present, helpful but not pushy. Not fresh orange juice on breakfast. 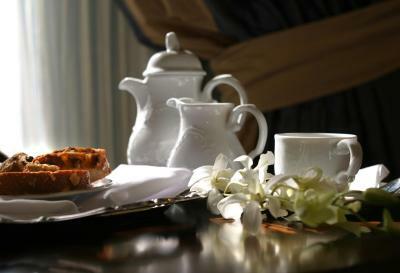 Friendly staff, the rooms are spacious, clean, beds are comfortable, a delicious breakfast. Great location, just a few minutes walk from the city's center and the beach. Big, clean and comfortable rooms. The staff is very nice and the breakfast is rich. VERY RECOMMANDED! I had asked ans paid for a sea view room and even though the hotel was not at full occupancy, I was given a room with no view. We were given a room for invalid people even though we did not need one. There was only one bedside table and not enough space to go to one side of the bed. The room door did not close properly and sometimes the card key did not work and the door was not opening but only after 15 tries. The pillows were very small and not fluffy. It was as if there was no pillow at all. Good breakfast and clean facilities. Friendly and helpful staff. Old building without fitness or pool Needs refurbishment Poor breakfast : orange juice is not even réal! The food ordered through room service was mediocre. The minestrone soup was little more than hot water. Breakfast was satisfactory but for the price - 92 euros for one night - not up to standard (especially the indescribably bad coffee). No slippers or bathrobes provided. 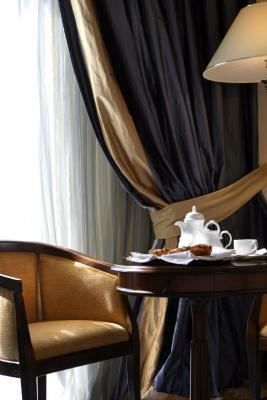 In general, most elements of my stay were satisfactory and the room a little shabby but pleasant and comfortable.